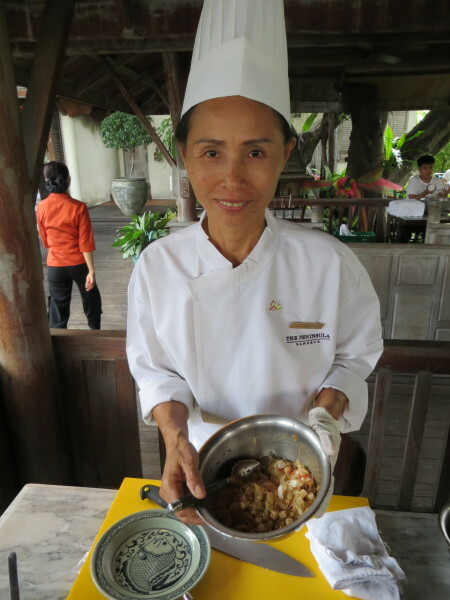 One of our favorite recipes from the Thai Cooking Class at The Peninsula Bangkok was Yam Som-O, or Pomelo Salad with Grilled Tiger Prawns. 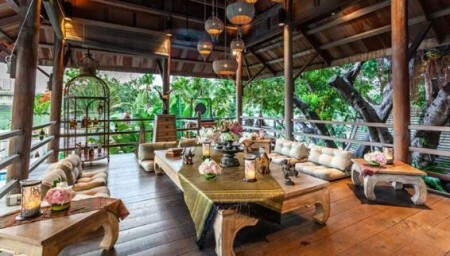 From the kitchen of Executive Chef Andreas Haugg and Thai Chef U-rai Pungrung, try this recipe and you’ll see why we love it! 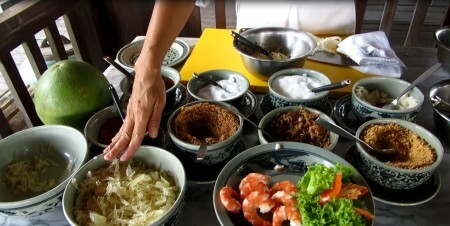 Add salt and pepper to tiger prawns. Grill tiger prawns, peel them and cut into halves. Mix together the pomelo, half of the prawns and yam beans. Season with tamarind sauce, sugar, salt and chilli powder. Add deep-fried shallots, coconut and peanuts. Serve cold with deep-fried shallots and chillies. 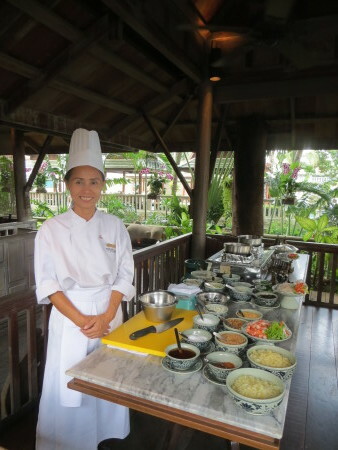 Acknowledgements: Global Adventuress thanks The Peninsula Bangkok for hosting our cooking class and sharing this recipe. 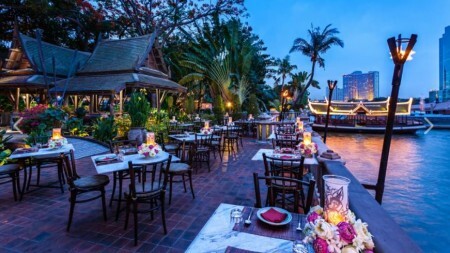 Cooking classes are provided in the beautiful outdoor setting at The Peninsula’s Thiptara Restaurant pavilions alongside the Chao Praya riverside.